New members are always welcome, and local households are encouraged to join the Society. For those who want to take a more active role there are opportunities to help out with the Society's activities. Annual membership runs from 1 June through to 31 May. £3.00 per household. Payment by cash or cheque. Cheques payable to Noak Bridge Nature Reserve Society. The Noak Bridge Nature Reserve Society adopted the following policy at their Committee Meeting 20 May 2018. To comply with the requirements of the General Data Protection Regulation, from 25 May 2018 the Society undertakes to ensure that data held on members, donors, suppliers and customers will be kept securely and will not be made available to third parties unless required to do so by law. A request may be made by those listed above to reveal what data of theirs is held, and to correct within 28 days any data as requested if it is incorrect or no longer required. The information that we hold will normally only be data supplied by people, organisations or companies about themselves. 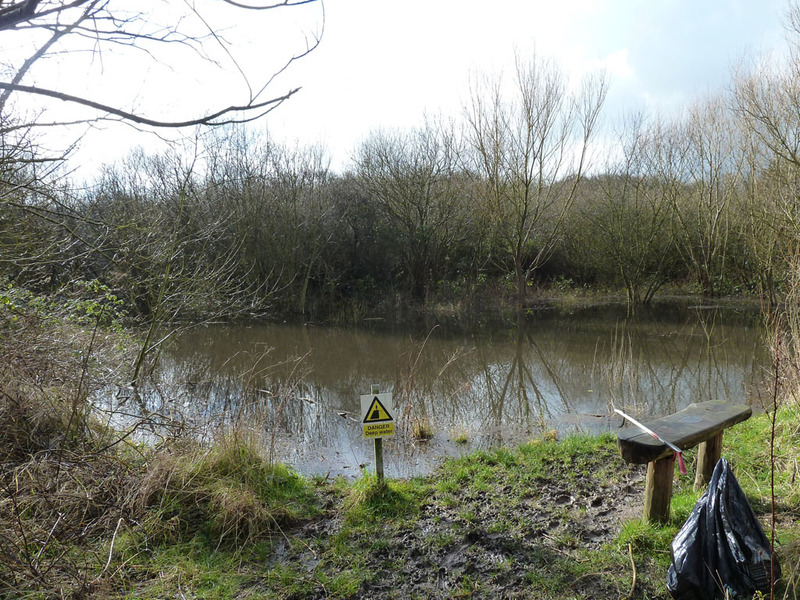 The Society was formed in June 1999 as a result of many years of dedicated work and lobbying by founder-members striving to preserve the wildlife environment, ponds, meadows and trees around our homes as more and more of the land was acquired for housing. Due to their efforts our 20 acres have been secured as a local nature reserve for the forseeable future. Disabled access gates have been installed and there is an easy access trail on the lower level. On 2018 a biodiverse storage container was erected in the central area of the Reserve where tools and equipment belonging to the Society can be kept. The Society is dedicated to assisting Basildon Council Countryside Services in the development and maintenance of the reserve. We host occasional walks throughout the year on specific themes. A voluntary work party with the Ranger takes place once a month. Notices about work parties and other events are published on notice boards and in the local shops. Members receive a newsletter four times a year. The Annual General Meeting usually takes place in early July. These are usually held on the third Tuesday of the month, January-November, from 1pm to 3pm. They are conducted by a ranger from BDC Countryside Services. Typical tasks include cutting back the sidegrowth along the walks, putting up and checking nesting boxes, coppicing to create woodland glades, cleaning up the ponds, conducting wildlife surveys, clearing rubbish and maintaining facilities (benches, paths, notices etc). Members and non-members are encouraged to take part. Meet at the Eastfield Road entrance. Reports on work parties and other events are posted on our Facebook page. Older messages from December 2005 to April 2010, originally posted on the forum at Noakbridge.net, were moved to the Facebook discussion board, but this facility was discontinued. All our discussion board posts have been archived and may at some point be make available online again. A small number of posts made to the Noakbridge.net forum earlier than December 2005 can perhaps be found by diligently searching the Wayback Machine. Our next meeting is on Tuesday, 21st May 2019, starting at 1pm, (weather permitting - please check our Facebook page to make sure there isn't a last minute cancellation). The schedule has still to be arranged. All are welcome. Meet at the Eastfield Road entrance as usual. Thanks to John Pettitt for the photo of Willow Pond.